Get it before it becomes a 900SS. That is what I always say when I see a GTS for sale. 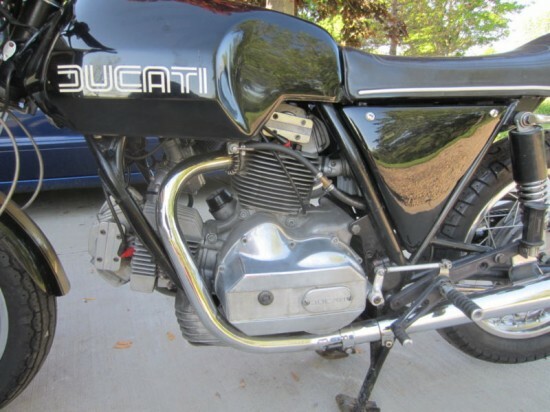 Before the frame becomes green, and the tank and brand new fairing become silver, save this 1978 Ducati 900GTS offered up on eBay now. 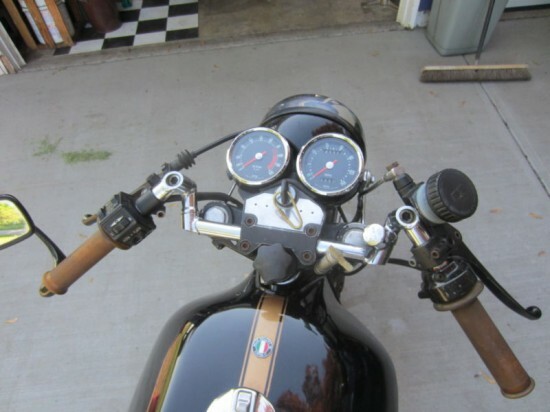 REAR SETS, ADJUSTABLE BARS, CONTI REPLICAS… JUST A FEW OF THE GOODIES ON THIS GREAT RIDER. It is not a 900SS and will not perform like a 900SS without a major investment in time and money and parts. 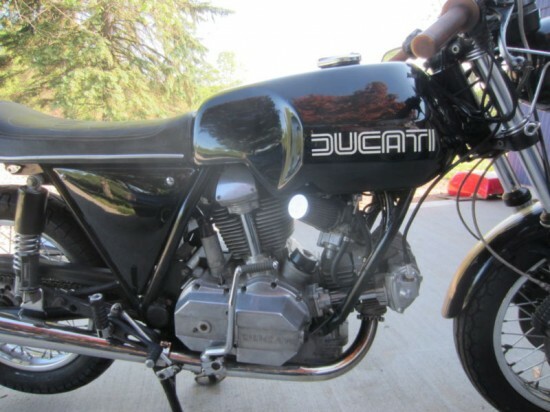 But that doesn’t mean its not a Ducati, and that you will not enjoy the GTS. From the Bologna factory the GTS may not have had the stylings of the earlier and more desirable SS, but the performance specs are not that of a Vespa. 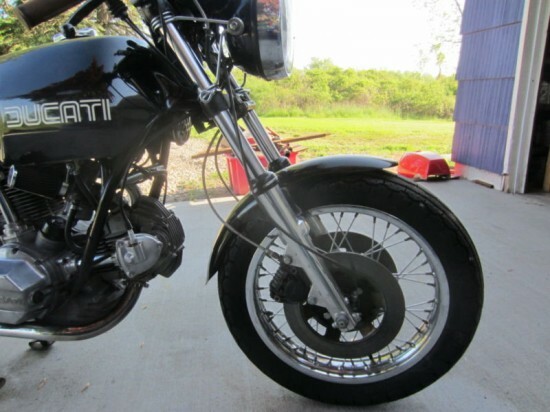 864cc, 9.8:1 CR, 2x32mm Dellorto (my favorite Italian word), 65hp at 7200rpm, 5 speed taking you to a top speed of 116mph and slowing you back down with a pair of 280mm disk up front. Yes it also has Bevel drive OHV, but not that overly complicated, hard to set up, Desmosomething valves. Just your run of the mill 2 valve per cylinder.